I tend to read and re-read all her books. That’s why I was thrilled to see Vagabond on Kindle and I immediately ordered it. I was not disappointed. Colette writes with in a unique style, almost a flourish. You can almost see her ink pen on paper. Because she wrote in the early 20th Century, she probably did write with pen and ink. Considering this book was published originally in 1910, that’s an amazing theme. The woman in question is Renee and the setting is France. 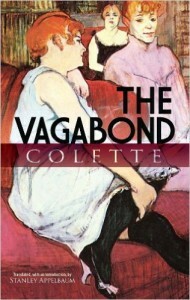 All of Colette’s books are set in France. Renee is a vaudeville dancer. When we meet her, she is about to go on stage. We learn of her work as well as meet her fellow vaudevillians. We also learn that she’s a very lonely woman. 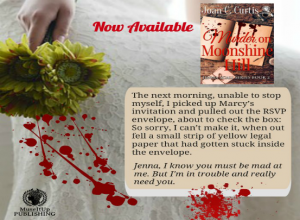 Her rakish husband ran off with another woman, leaving Renee broken and alone. Renee has friends but they spend time together talking about their misadventures in love. Renee had been a successful writer, but she gave that up when her husband left her. She gave up many things. She, too, enjoyed the world of acting. I’m not sure she was a dancer, but she loved the stage and the people who performed on the stage. Nonetheless, actors were looked down upon in Colette’s day. Colette also struggled with independence. She married and divorced and later lived with a woman. Although she had one child, she led the life of an independent woman who had a very successful writing career in her day. Colette’s character Renee meets a man who has money and is desperately in love with her. At first she rejects him as a “Big Ninny.” She thinks all men are unreliable–like her ex-husband. When she finally succumbs to Max and agrees to marry him, he makes the fatal mistake of telling her she must give up her dancing career. He tells her he will be her master. Her heart and her desire for independence fight. We do not know which will win until the end. If you like deep characters and beautiful writing, read Colette.